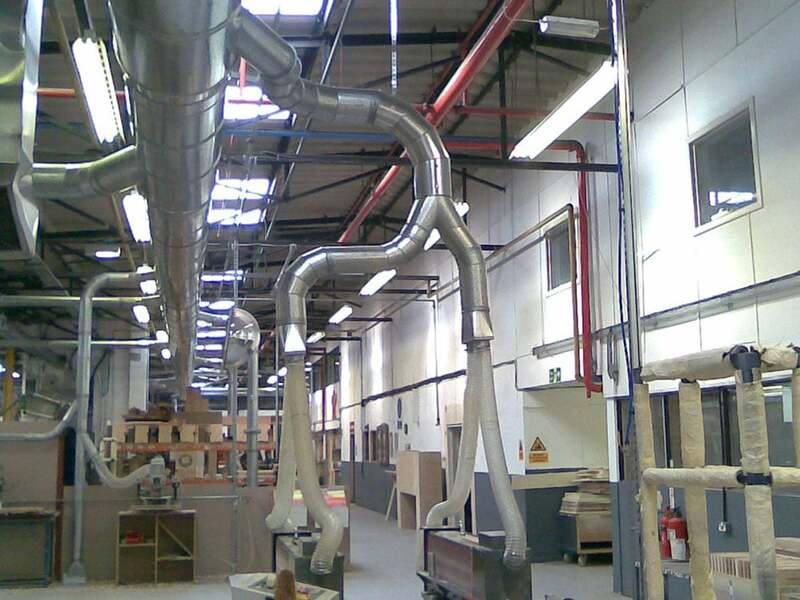 Ducting is an essential part of any dust, fume and ventilation system. 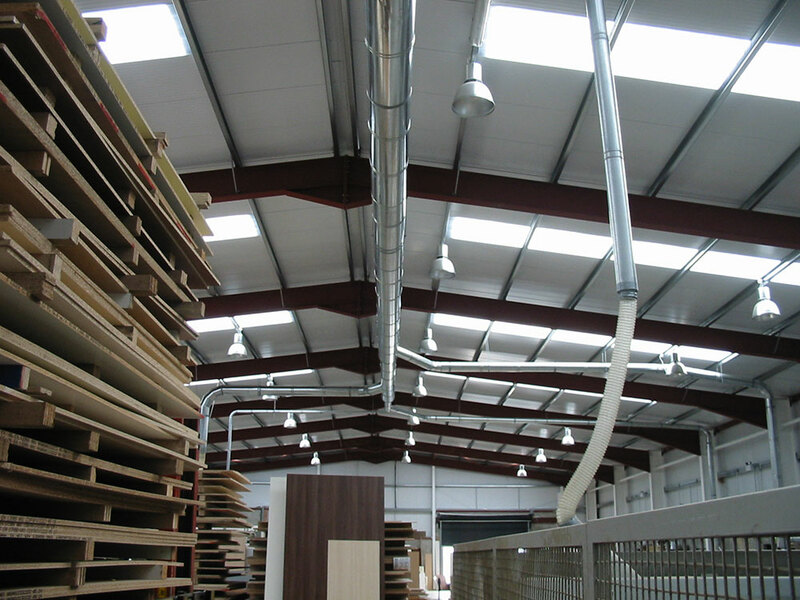 The ductwork carries captured airborne waste, dust and fumes which are drawn by a fan away from the wood working area. Ductwork can also carry cleaned air back into the workspace. 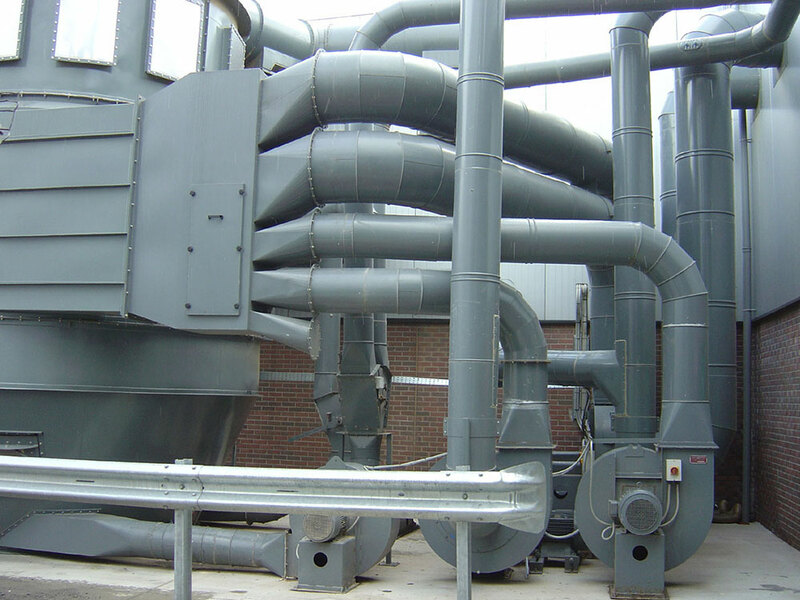 As an integral part of the system, if ducting is incorrectly designed, losses in the system can be high. 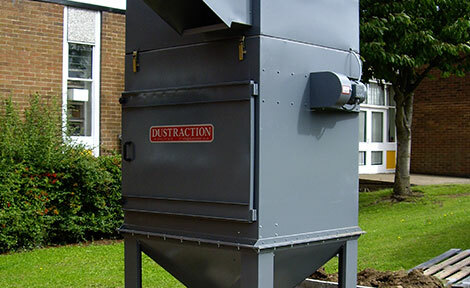 This will result not only in poor extraction but also high running costs, premature wear or even blockages and fires. At Dustraction the size and type of ducting is carefully selected for each installation to ensure optimal functionality.